August Motorcars is excited to offer another of our favourites,this rugged H1 Hummer,presented in stunning Firehouse Red over Beige Leather Seat Trim and perfectly complimented by a Removable Beige Soft-Top. Originally bought out of Arizona USA and imported into Canada in 2009,this wicked looking and well cared for H1 comes to us in fantastic condition with no accidents and passes our stringent 100 point inspection making it August Certified. August Motorcars is excited to offer this fantastic A4 by Audi,presented in classic Ibis White over Black Leather Seating Surfaces and perfectly complimented by Aluminum Mesh Trim. Expertly detailed by our professional detail bay upon arrival,this very sporty,and very well cared for A4 comes to us in impeccable condition from here in B.C.,with no accidents,front end 3M protective film,and passes our stringent 100 point inspection making it August Certified. August Motorcars is excited to offer this stunning R8 V10 by Audi,presented in rare Suzuka Gray Metallic over Express Red Fine Leather Diamond Stitched Seats and perfectly complimented by a Carbon Fiber Sigma Sideblade. This sleek,stylish,and brand new R8 is in impeccable condition with no accidents,no owners,full factory warranty,a full Rock Guard and passes our stringent 100 point inspection making it August Certified. 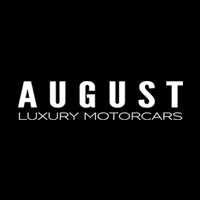 August Motorcars is excited to offer this stunning R8 V10 by Audi,presented in rare Mythos Black Metallic over Black Fine Leather Diamond Stitched Seats and perfectly complimented by Express Red Stitching. This sleek,stylish,and brand new R8 is in impeccable condition with no accidents,no owners,full factory warranty and passes our stringent 100 point inspection making it August Certified. August Motorcars is honoured to offer this absolutely gorgeous 535d xDrive by BMW,presented in stylish Space Gray Metallic over Cinnamon Brown Dakota Leather Upholstery and perfectly complimented by Brushed Aluminum Interior Trim. Expertly detailed by our professional detail bay upon arrival,this very stylish and incredibly well optioned 535d xDrive comes to us in impeccable condition with no accidents,service records,and passes our stringent 100 point inspection making it August Certified. August Motorcars is excited to offer this impressive 550i xDrive by BMW,presented in sleek Imperial Blue Metallic over Black Dakota Leather Upholstery and perfectly complimented by Aluminum Hexagon Interior Trim. Expertly detailed by our professional detail bay upon arrival,this sporty and incredibly well optioned 550i xDrive comes to us in impeccable condition from the original owner,with a front end 3M protection and passes our stringent 100 point inspection making it August Certified. August Motorcars is honoured to offer this absolutely incredible X5 xDrive35i by BMW,presented in stylish Titanium Silver Metallic over Black Leatherette Upholstery and perfectly complimented by Gloss Wood Interior Trim. Expertly detailed by our professional detail bay upon arrival,this very stylish and incredibly sporty X5 xDrive35 comes to us in impeccable condition with no accidents,and passes our stringent 100 point inspection making it August Certified. August Motorcars is honoured to offer this incredible M Roadster by BMW,presented in stunning Imola Red over Black M Extended Leather Upholstery and perfectly complimented by a Black Soft-Top. Expertly detailed by our professional detail bay upon arrival,this very stylish and even sportier M Roadster comes to us in impeccable condition with no accidents,a front end 3M protection,and passes our stringent 100 point inspection making it August Certified. Tires: 225/45 ZR18 Fr. & 255/40 ZR18 Rr.